The following titles are all recommended to enable you to learn more about Buddhist psychology and about Tibetan Medicine and health. Many of the books are available to purchase through Wisdom Books or other regional book stores. A best-selling guide to achieving happiness, written with contemporary western preoccupations in mind. Compiled from conversations with the psychiatrist Howard C Cutler, this book brings the Buddhist tradition together with a western perspective to offer practical advice on how to overcome everyday problems. This practical programme has been tested and refined at therapy workshops at Samye Ling Tibetan Buddhist centre in Scotland and other centres around the world, where it has proved very beneficial. The teachings in this book are presented by Akong Rinpoche to alleviate the pressures and tensions of the modern Western world. This runaway bestseller explains the Tibetan understanding of what happens when a person dies, and shows how we can use this knowledge to help the dying, face the death of our loved ones and deepen our understanding of life. Already hailed as a classic, it is written by a well known teacher with an international following. The Bodhisattvacharyavatara is regarded as one of the most profound and compassionate descriptions of the way to achieve the ultimate altruistic mind of enlightenment. It holds a unique place in Mahayana Buddhism and has been an inspiration to millions of Buddhists. For millennia, Buddhists have enjoyed the limitless benefits of meditation. Mingyur Rinpoche reveals the principles behind this ancient practice providing clear insights into modern scientific research which shows that systematic training in meditation can enhance activity in areas of the brain associated with happiness and compassion. The world knows the public face of the Dalai Lama. But what are his inner, personal thoughts on his own spiritual life? This book provides a vivid and moving portrait of his life that is personal in tone, but universal in scope. It is based on a compilation of interviews with his French translator, Sofia Stril-Rever, along with public talks and teachings. Lavishly illustrated book which contains detailed descriptions of the physical structures, colours, tastes, efficacies and habitats of different Tibetan medicinal herbs. It is supplemented with features of the modern methodology employed and a general description of the identification of herbal plants, the times and seasons for picking them, and the process for drying, cleansing and the preparation of medicines. 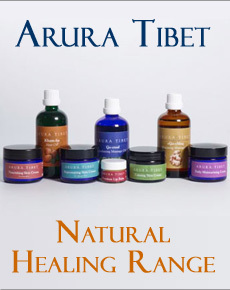 Tibetan medicine is one of the most comprehensive of alternative therapies, addressing body, mind, and spirit. This book brings this important healing tradition to Westerners. The book begins by summarizing the basics behind Tibetan medical theory and its methods of diagnosis. Comprehensive and useful reference book on Tibetan medicinal plants for both professionals and amateurs. A new introduction to the unique and ancient tradition of Tibetan medicine by Dr Pema Dorje written in collaboration with two westerners - one a spiritual mystic, astrologer and psychotherapist, and the other a company director, who is also an acupuncturist and herbalist. He gives a practical description of the workings of the medical system, offering explanations and examples designed to help the modern reader to understand and apply the healing principles of Tibetan medicine in everyday life. The harrowing spiritual memoirs of the late personal physician to the Dalai Lama. This is a profound and moving testament to the power of forbearance, hope and faith. An introduction to Tibetan astrology by Dr.Drungtso, author of the Tibetan-English dictionary of Tibetan medicine and astrology. A comprehensive Tibetan-English dictionary and a major reference work with over 3,870 entries and over 9,000 terms medicine, astrology and Buddhist terms clearly defined. Includes transliteration and phonetics. Of immense use to students, scholars, doctors and pharmacologists, this is the first dictionary of its kind, with over 3,000 entries. Medicinal ingredients and their properties, with their often numerous synonyms are given. Based on Selgon Selphren & Rinchen Khrunpe. A magnificently produced rare manuscript with exquisite paintings, this is a remarkable translation of Sangye Gyatso`s renowned treatise on astrology and divination. The illuminated manuscripts from the White Beryl are accompanied by Lochen Dharmasri's treatise, Moonbeams: An Esoteric Instruction on Elemental Divination, both translated with commentary by Gyurme Dorje. A hitherto unknown set of paintings found in Buryatia that illustrate a famous medical treatise by the regent of the 5th Dalai Lama, which is a definitive commentary on the Four Medical Tantras. This exquisite edition features 76 brilliantly coloured, highly detailed reproductions of the original 17th century works, with commentary. A sumptuous collection of medical paintings from ancient Tibet, with a thorough and practical commentary by a leading Tibetan doctor and extensive background material on the history and foundations of Tibetan medicine. South Asian version of my book Principles of Tibetan Medicine. Japanese version of my book Principles of Tibetan Medicine.